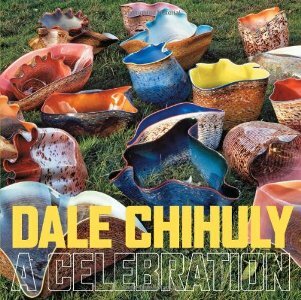 Dale Chihuly, the hugely popular artist who works in glass, celebrates his 70th birthday in 2011. Tacoma Art Museum, in his hometown, owns more than 150 examples of his work and is mounting an exhibition in his honor. Both this book and the exhibition showcase Chihuly's enduring interest in the arts and natural beauty of the Pacific Northwest, which are a major influence on his work. For the first time, Dale Chihuly: A Celebration focuses on the importance of these influences. From Native American baskets to wool trade blankets, the gritty Tacoma of the 1960s, and Puget Sound, this exhibition and book follow Chihuly's development and accomplishments and how he grew and evolved while maintaining close ties to Tacoma. The essay by curator Rock Hushka traces Chihuly's creative process and the ways in which his abiding interest in the American Northwest enriches his work. "This intimate, thoughtful celebration highlights the influences of nature and nurture on a unique talent."